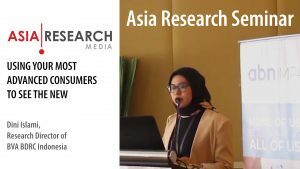 The Annual Stakeholder Survey that was recently conducted by Asia Research shows that research/consumer insight is gaining status in client organisations. However, data is now so widely used within organisations that it is becoming commoditised – the traditional client/agency relationship is being undermined, and ‘insight’ itself could be losing ground to ‘data’. 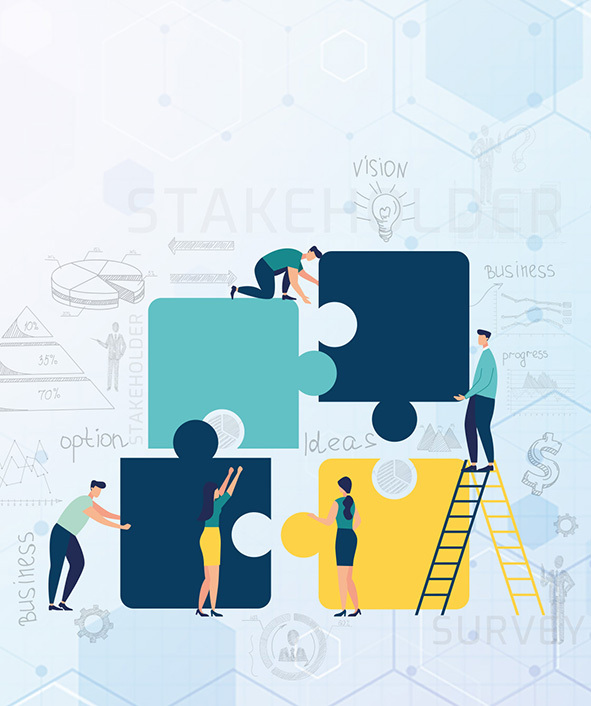 In our lead article for Q1 2019, we report on some of the key findings from our Stakeholder Survey. Optimism for the industry remains fairly high, but there is a big difference between the two main markets represented in this survey: Indonesia (high optimism) and Singapore (far more subdued). Those working client-side are most optimistic, perhaps because this is more of a buyer’s market, but senior agency-side management is somewhat more cautious, with about a quarter of MDs stating that they see more threat to the industry than opportunity. 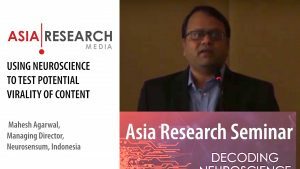 MNCs and large corporations remain the bedrock of the market research industry, but government research as a source of revenue for agencies is growing, probably because some of the core markets (e.g. MNCs) are scaling back on their research, or insourcing it more – agencies are therefore turning to the public sector to maintain volume, even if margins are that much tighter. Trade between agencies is also declining, and this is most likely due to the reduction in offline fieldwork that in the past was frequently subcontracted to other agencies. But there is some growth in the research business from ad agencies and management consultancies. Agencies overestimate the importance of relationships in terms of how clients select their agencies, which again shows that the industry is becoming more transactional and based on more objective assessments of agency capability. This places more importance on the product and the service, although half of clients claim that when they commission research, they are buying into the team lead more than the agency itself. Innovation is still very strong in the industry, but agencies are perhaps trying a bit too hard in this area. Based on the survey, clients complain that agencies are developing solutions that are too complicated for them to understand, or solutions that are just too fanciful. A range of other barriers exist to selling-in new solutions to clients, including cost and lack of proof of concept, which is why clients might want to stick to tried-and-tested methods, which can keep them entrenched with existing agencies, particularly for tracking studies. Insourcing of research within client organisations is very widespread, and this will continue, if not grow. But clients acknowledge the benefits of outsourcing, specifically for access to specialists, more experienced researchers, and more sophisticated analysis. Larger agencies can also benefit by providing the resources for larger projects and providing the insights into local markets where they have a local office. Level of competition is always the main threat to agencies, particularly if there is weakening demand through budget cuts or insourcing. But most stakeholders recognise that demand/supply dynamics are somewhat self-regulating – e.g. weaker agencies will close down and larger agencies will merge. A major challenge to agencies is the lack of follow-through on projects – e.g. a client asks for a proposal, but the project never gets commissioned with any agency. While agencies overestimate the number of projects that never get commissioned in this way, there is a problem within client organisations where decisions on projects take too long, such that priorities change and the projects just get cancelled. Indeed, up to 40% of RFPs might never go ahead with any agency. This adds to business development time costs to agencies, as they not only have to deal with competition, but also with getting internal approvals for projects after submitting proposals. The irony is that while clients are looking for a faster turnaround on projects, the time to decide what to do in the first place – and probably what to do with the results – is getting very protracted. Faster projects might be needed to offset the time wasted on decision-making at the start and end of projects! Certainly, most stakeholders see significant change coming in the industry, with the expected rate of change increasing. 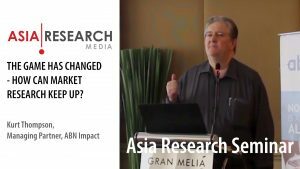 Almost half see changes in the types of organisations that will serve the market research industry in the next five years, alongside some predictions that some of today’s suppliers will no longer exist. While there is much talk about big data and AI, analytics is still less commonly used by clients than quantitative and qualitative primary research, and there will be as much demand for those in the future as for analytics. Demand for retail/media audits and tracking could fall with some clients. Clients will insource more of the basic projects, particularly when they are looking for cost savings and faster turnarounds. Half of clients also want to develop their in-house research expertise, showing that insourcing is part of their research strategy. The greatest motive for outsourcing research is to gain access to specialist and highly experienced researchers. Agencies will therefore need to become leaner, more specialised, and seek to automate elements of their project cycle.